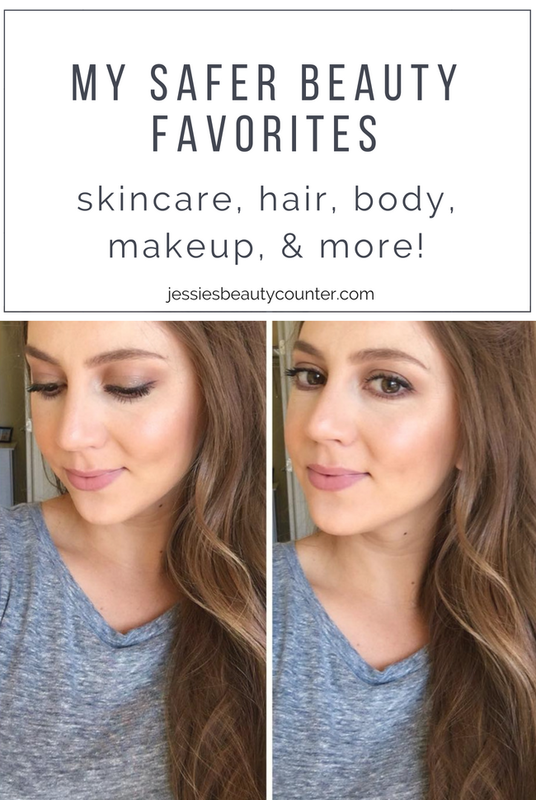 Just Jessie B: My Safer Beauty Favorites | skin, hair, body, makeup, & more! My Safer Beauty Favorites | skin, hair, body, makeup, & more! Sharing my favorite products that I use on a daily basis: safer skincare, haircare, bath & body, makeup, & more! I hope you enjoy this roundup of what has truly changed my skin, and taken me one step further towards a healthy life. From total tomboy, to "learning how to be a girl", to absolute makeup hoarder, to coconut oil minimalist... it's been a long road that's led me to where I am now in my self-care routine! 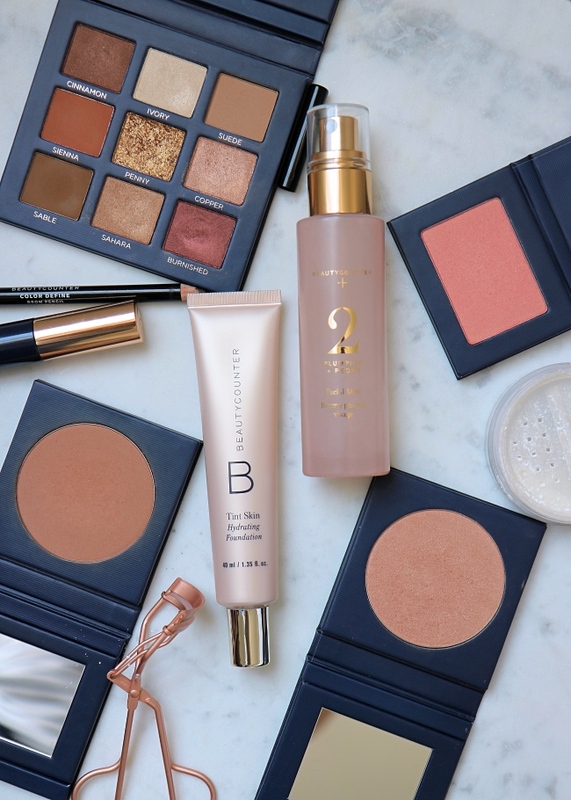 Beauty has become a passion for me over the years, but I felt lost when I suddenly realized what was lurking inside the pretty packaging of so many of the brands I loved. Shampoo, body wash, moisturizer, foundation, lip products... there are some scary ingredients out there with a serious lack of research and safety regulations when it comes to protecting our health & the health of our loved ones. 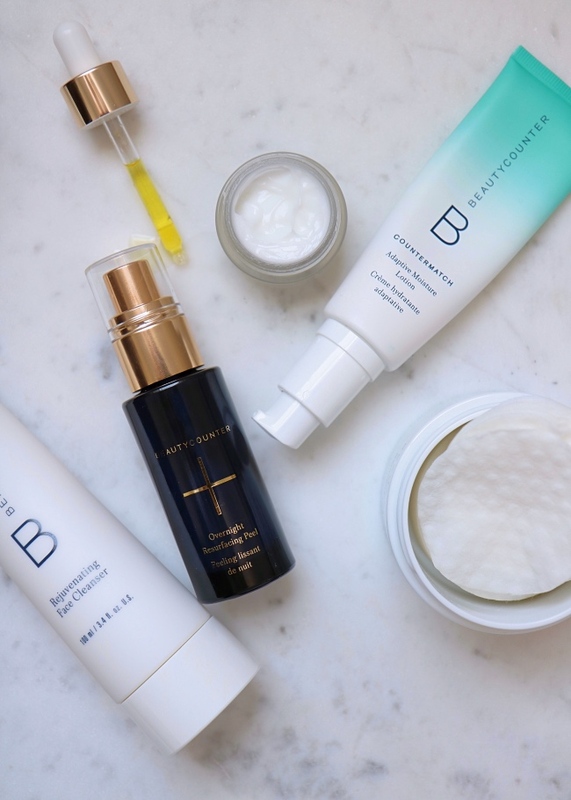 Finding Beautycounter has been such a relief, because as a brand- I trust them. They take the guess work out of searching for safer products, and performance is never sacrificed. Their product screening process for human health & safety is beyond rigorous, and I didn't have to bat an eyelash at any of my products' ingredient lists when I became pregnant. I share about safer home & beauty products often on my social media outlets, and it's one of the topics I get asked about most often. Something I never would have guessed 10 years ago when I was in high school, and the only lip product I owned was an old tube of chapstick (that I could never seem to find). Today I'm here to share a list of my favorites, which I'll come back & update from time to time as things change. Everything here is safe for pregnancy & breastfeeding (because baby health & safety is at the forefront of my mind right now!) and has absolutely CHANGED my dry-yet-oily, irritated, acne-ridden skin. 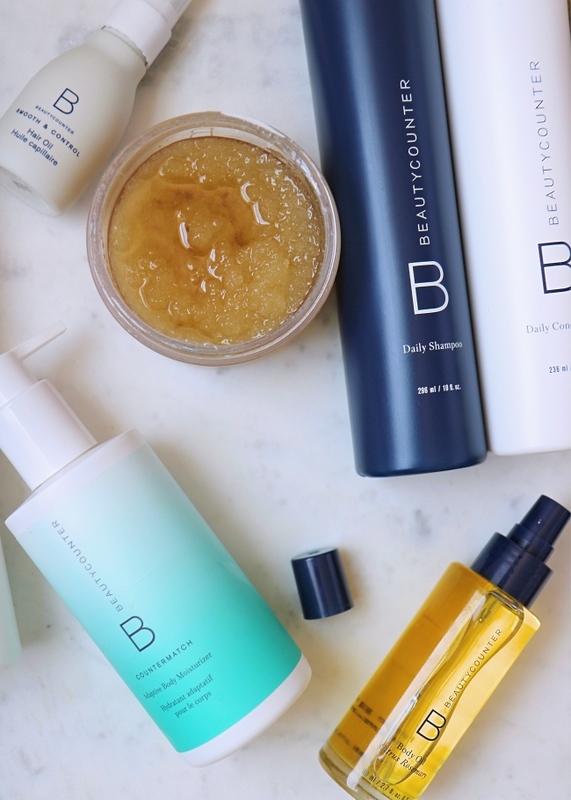 If you have questions about product picks for your skin type or needs, send me an email to beauty@justjessieb.com with some information about your skin, your biggest concerns, and what types of products you're searching for. I would love to help you make the switch to safer stuff that works! To see these products in action, come find lots of pictures & videos in my Safer Beauty Facebook group! Tint Skin Hydrating Foundation - most days- still feels lightweight, but with more of a medium coverage! Touchup Skin Concealer Pen - used to brighten under the eyes & add extra coverage! Brow Pencil - my shade is "Medium"
Velvet Eyeshadow Palette in “Classic” - these shades are so versatile, and so flattering! Volumizing Mascara - warm up the tube in your hands before applying- it lasts all day & has the best ingredients! Citrus Mimosa Body Wash - this scent never gets old, and it lathers just as well as traditional soaps! Citrus Mimosa Hand Wash & Hand Cream - I keep the pump bottles in every bathroom, and the smaller tube in my purse for on-the-go! Countermatch Adaptive Moisture Lotion - adapts to your skin's hydration needs throughout the day, and works almost like a primer under makeup! Instant Eye Makeup Remover - takes away even waterproof mascaras & can be used all over the face too! Rejuvenating Face Cleanser - we keep this in the shower, and it's great for all skin types! Daily Shampoo - I recommend this shampoo for ALL hair! Citrus Mimosa Body Wash - clean, fresh scent that soaps up plenty! Countersun Mineral Sunscreen Lotion SPF 30 - he uses this daily on his tattoos, and it's always packed in our pool or beach bag! I hope you enjoy this roundup of my favorites, and find it helpful as you make your own switch to safer products for you & for your family. Send me a message, and I'd love to help guide you towards the products that will work best for you! Want to stay in the loop with exclusive updates, new finds, and the first news on any deals for safer beauty? 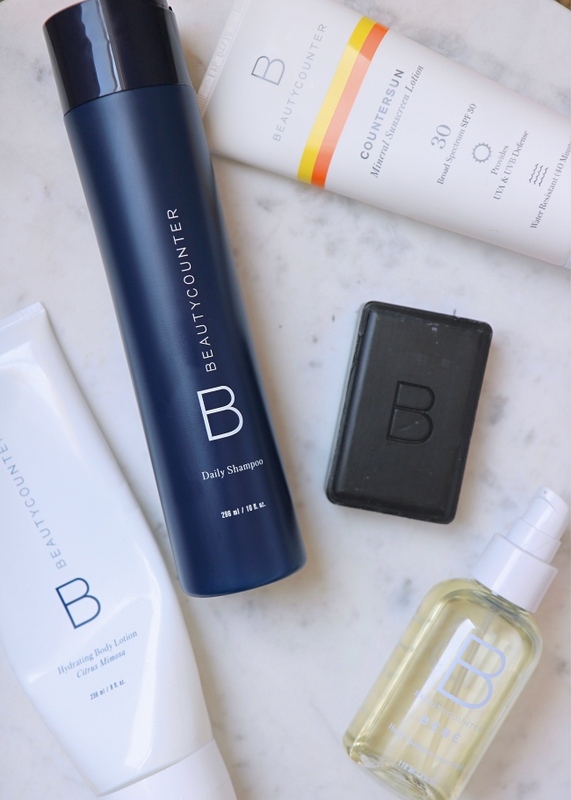 Join my beauty-only email list HERE.